I started this painting back in February, and finished it yesterday. I hadn't worked on it at all in the interim; I guess I was just waiting until the time was right! 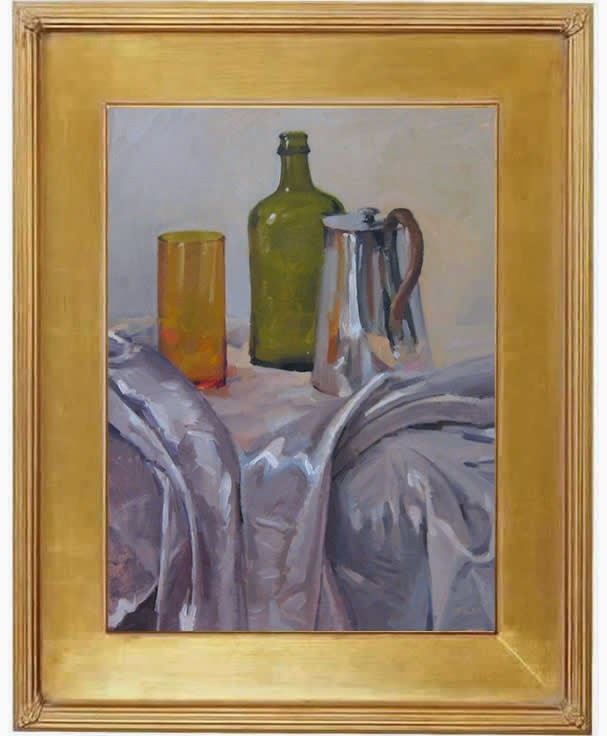 This was painted with a palette of Cad Red, Cad Yellow, Yellow Ocher, Burnt Umber, White, and Black. 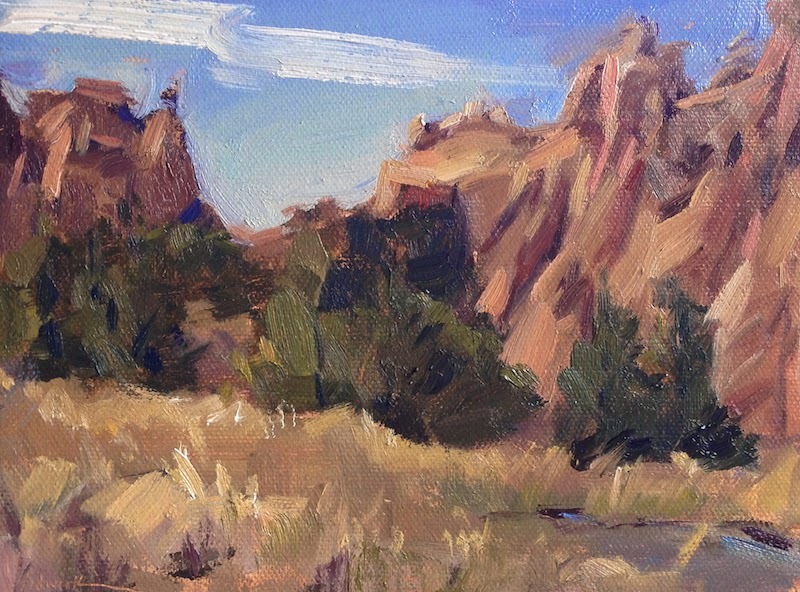 I'll be painting at Oregon Art Supply during the Artwalk Friday night from 6-7:30. 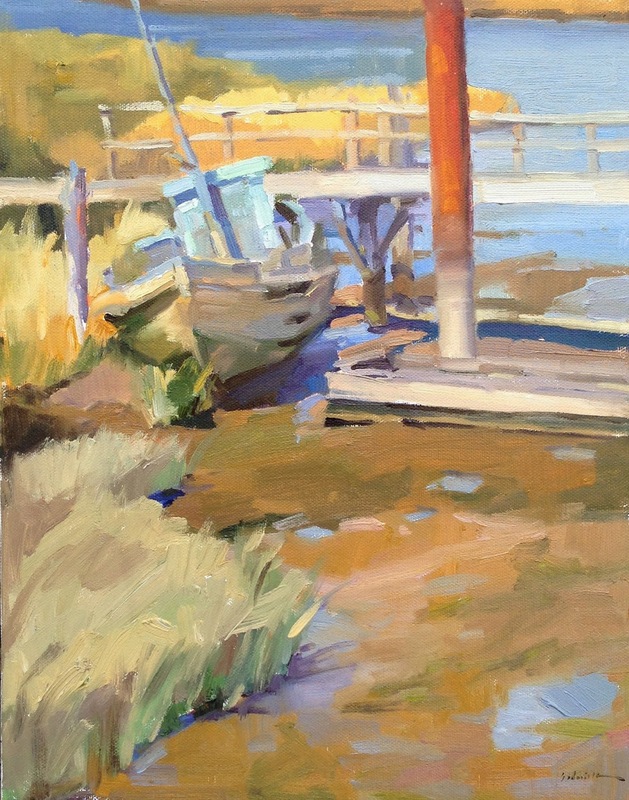 Come down and see my show, including my newest landscapes from the coast! 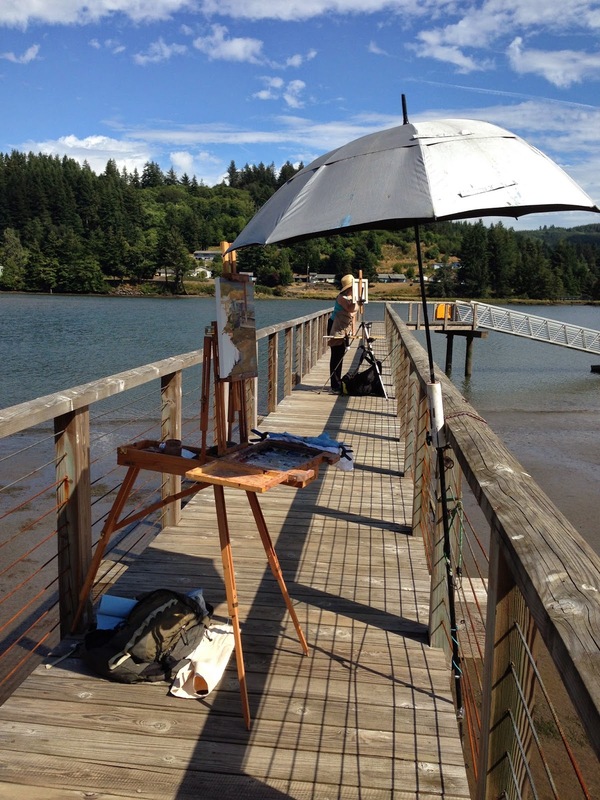 While you're out and about, check out the artists and live music in Kesey Square. So much going on! 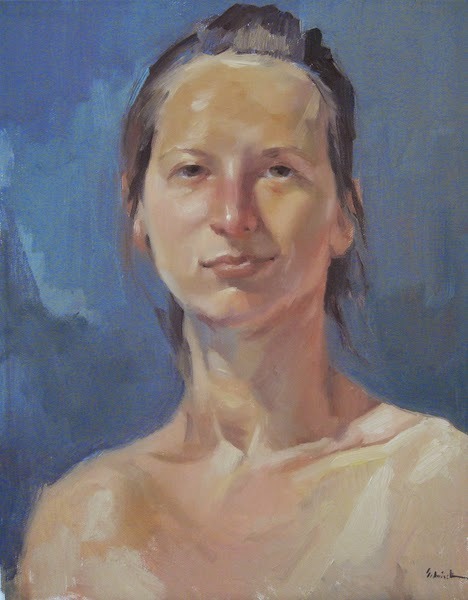 I'll be teaching a portrait workshop in September! 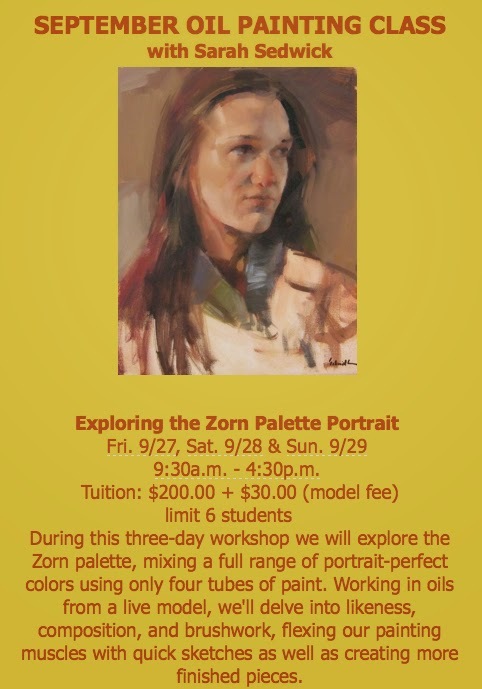 And of course, it's not just any portrait workshop, it's a Zorn palette portrait workshop. Oregon Art supply has a nifty little studio space that'll be just perfect for this class - especially since I'm sure I'll forget my palette knife and/or spill my Gamsol (because that's also what I do, with alarming regularity), and will therefore need an entire art store at my beck and call for the weekend. It's a new week, and I'm shaking the coastal sand out of my shoes, ready to get back in the groove of life. 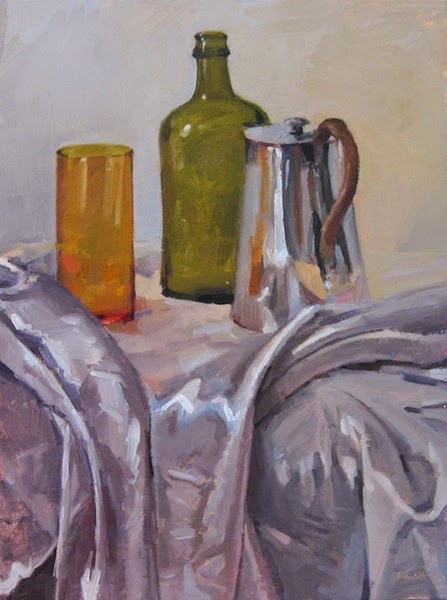 Still life! 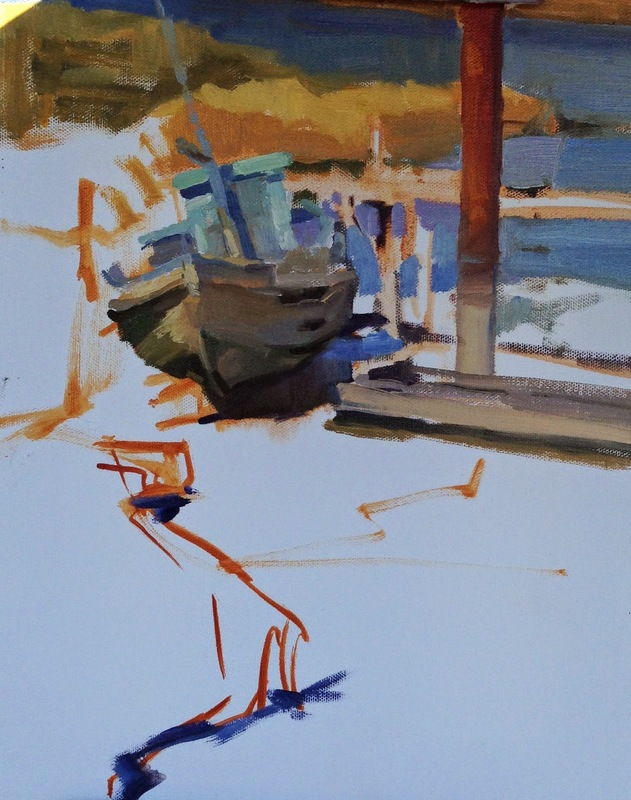 "The Sea Hunt and the Heidi Sue"
My final morning on the coast, I knew exactly what I wanted to paint: more boats! Newport's historic bayfront is a great place to find them. I set up on the sunny boardwalk around 8 am, loving the morning light and the clear reflections on the water. The boardwalk is a busy spot, and many people stopped to chat with me while I worked. 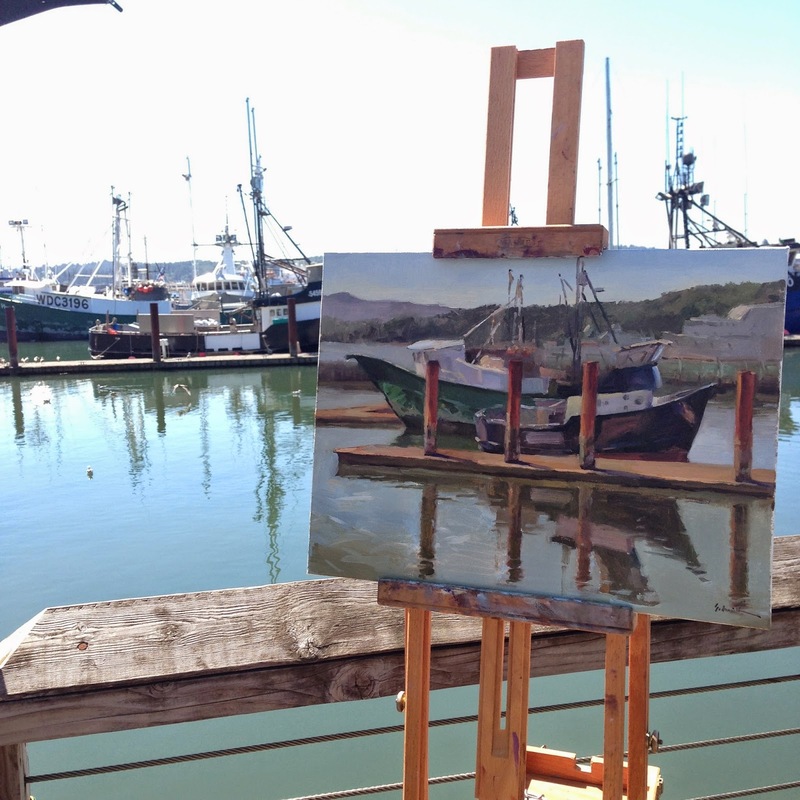 Combined with coffee, the warm sun, and the sounds of the harbor, it made for a truly idyllic painting outing. I know I'll be back soon! 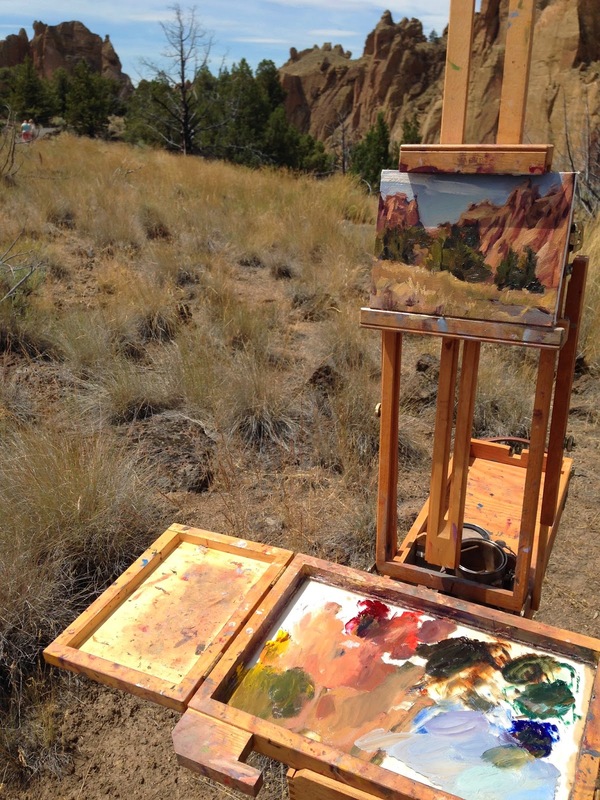 I don't mean to brag, but Thursday was an incredible painting day. 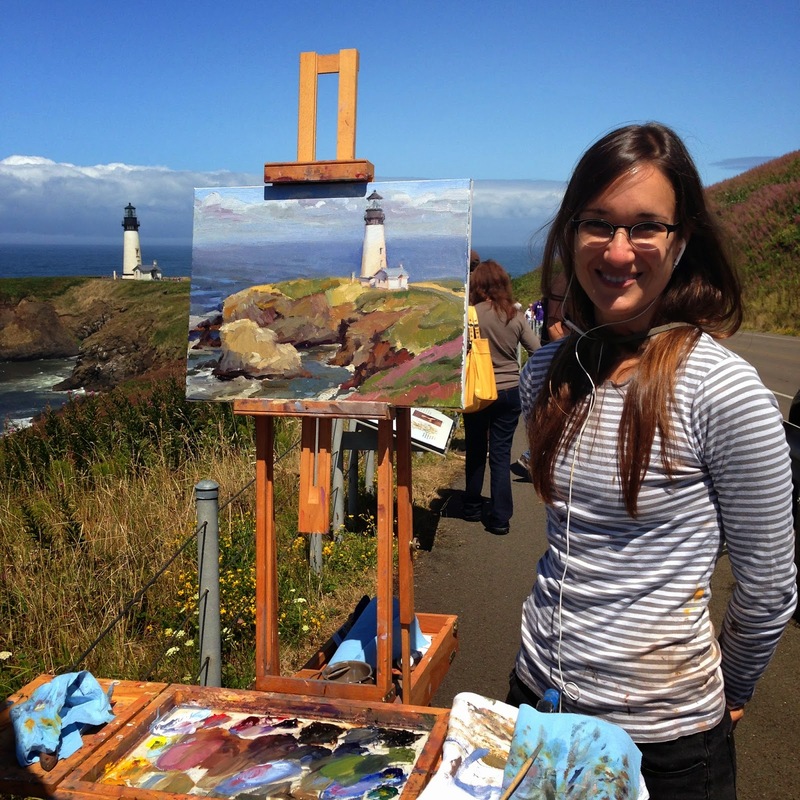 First, I painted the lighthouse, then I painted the swirling water, (then I took a rest), and THEN I went back for more! Just a little more...it was getting dark fast. And cold. And people kept pulling over to investigate what I was doing by the side of the road, which is fine, but it's a little unnerving with the headlights and all. I'm definitely in love with Newport. 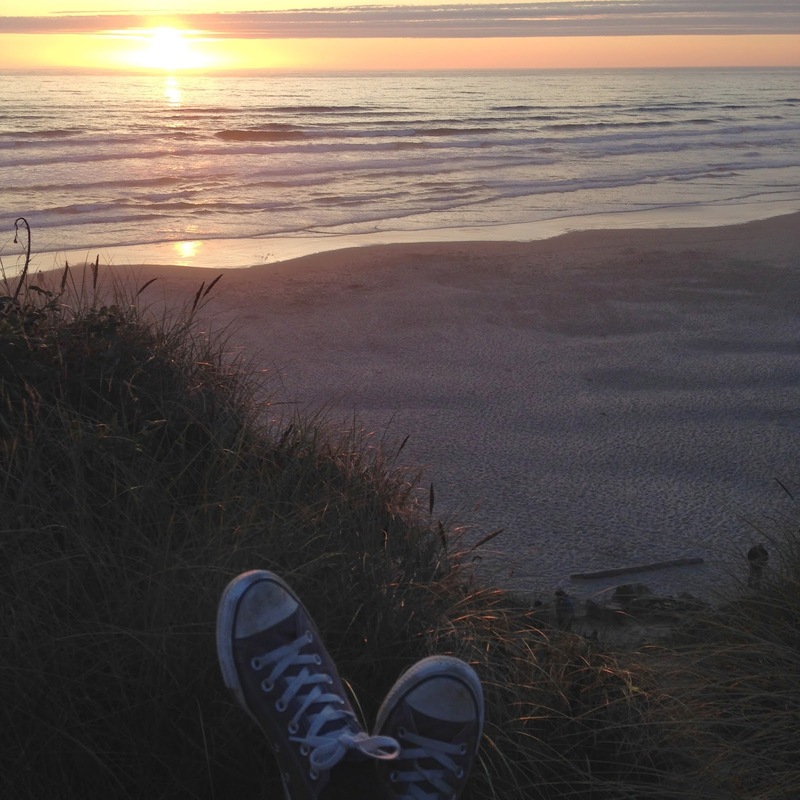 The Oregon coast offers incredible vistas just about everywhere you look - including down! I loved painting the color shifts in this swirling water, and the foamy highlights - so satisfying! These lava cliffs are really a challenge to paint. What color are they anyway? I don't know! I had to make a decision and go with it, instead of chasing what I actually saw - which would have been an endless struggle, since I couldn't even name the colors I was seeing. 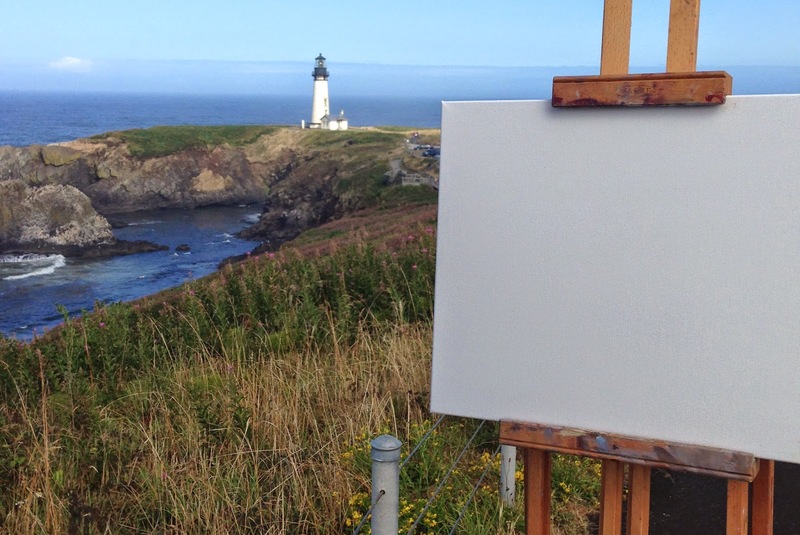 "The Lighthouse at Yaquina Head"
I wanted to watch the sunset out at Yaquina Head last night, and it cost me seven bucks to get my car through the gate! A seven dollar sunset? And a drizzly one at that! This morning I was determined to get my seven dollars' worth (it was a 3 day parking pass), and boy did I! Ok, I haven't really started yet, but setting up my easel, palette, and brushes sure feels like the progress of work to me! I suppose this photo is of the planning phase. And here's everyone's favorite phase: the happy painter. Finito! Today at the Oregon coast started out foggy and stayed that way. 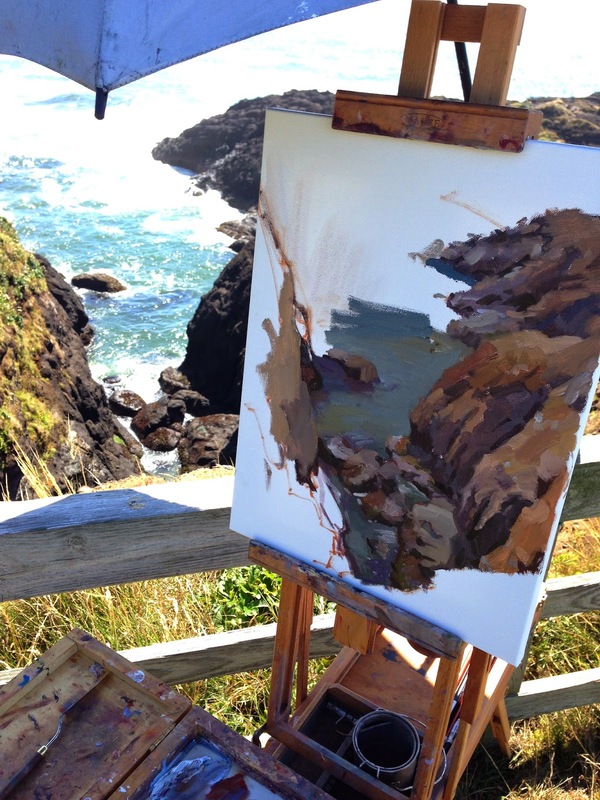 Luckily, I have connections - namely, Patti - knower of all things coast-painty. 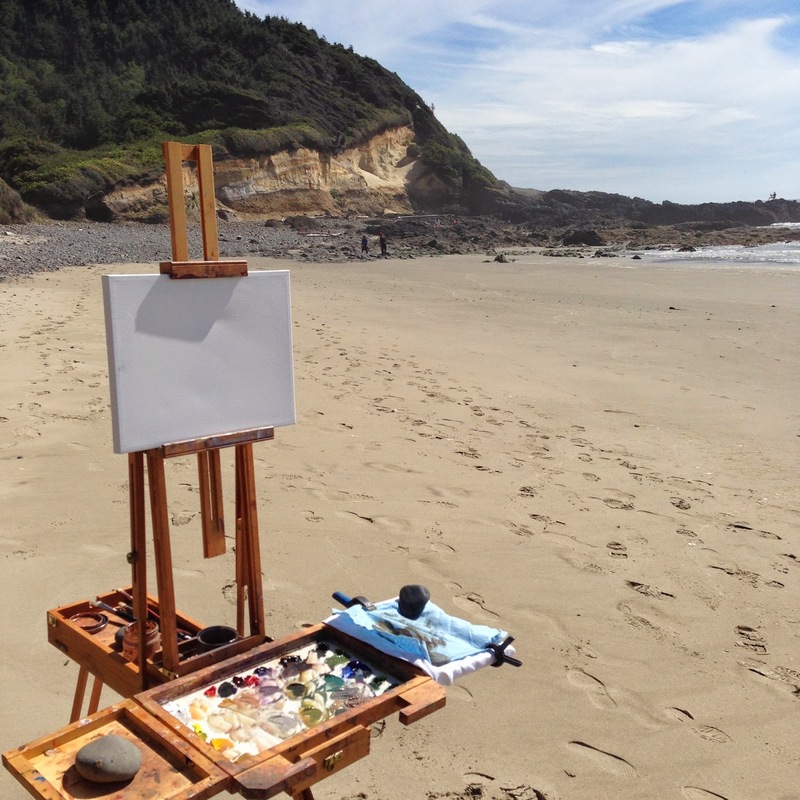 She suggested I try heading inland along the Yaquina Bay Road, and just as I happened upon a promising spot, who should pull up in her paint-mobile? Patti herself! And then she loaned me an umbrella! 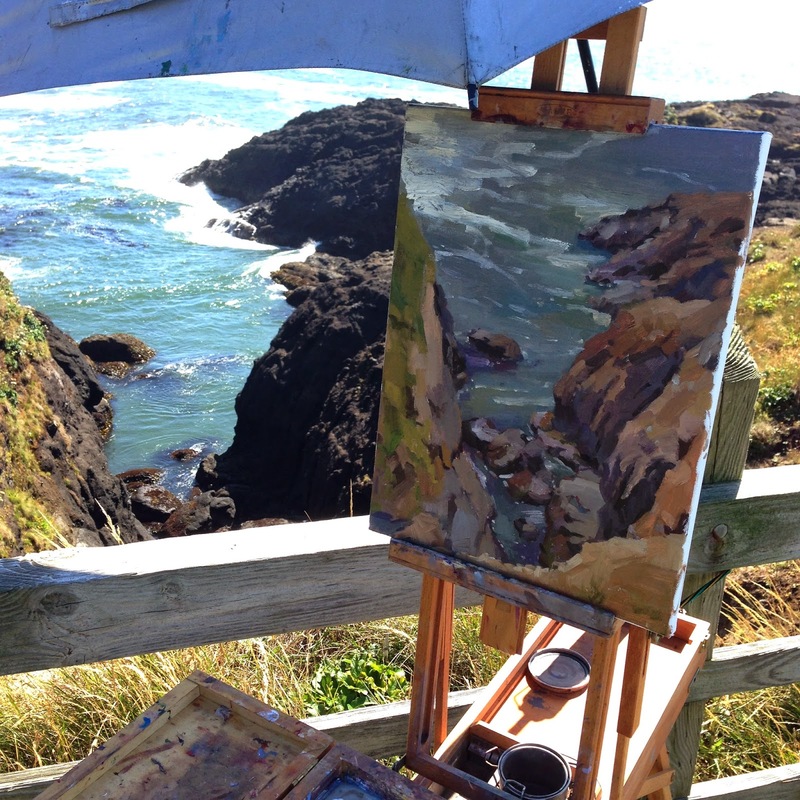 I'm in heaven this week, taking part in the Oregon Coast Paintout. This is my second year joining in the fun. You can read about my exploits of 2013 here and here. I arrived yesterday after lunch, ready to get down to business! 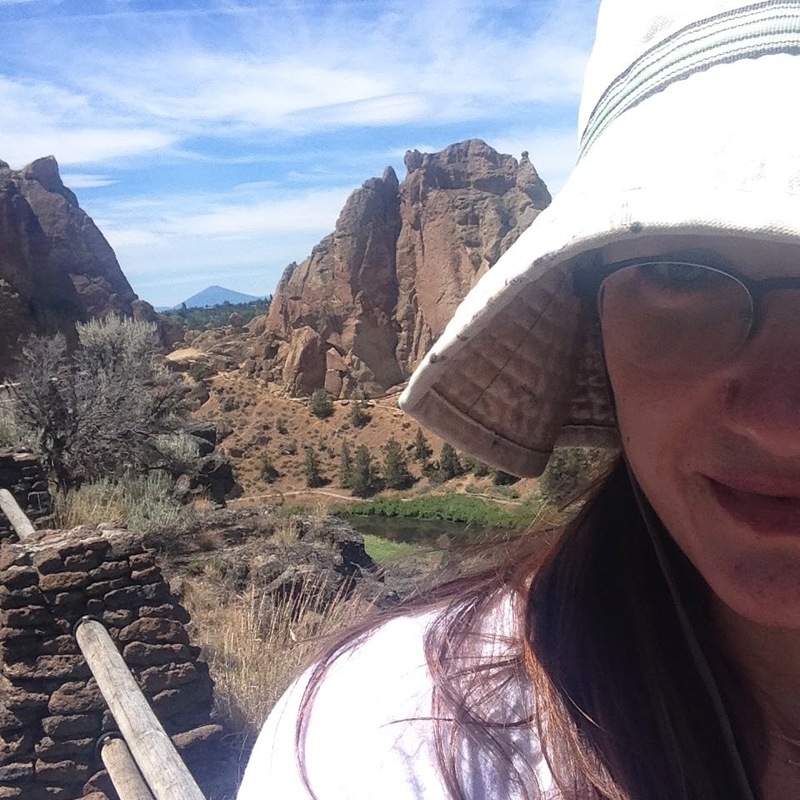 It was windy, but warm, and I worked for about four hours before packing up my gear and heading back to town. Below you see my set up for this painting. 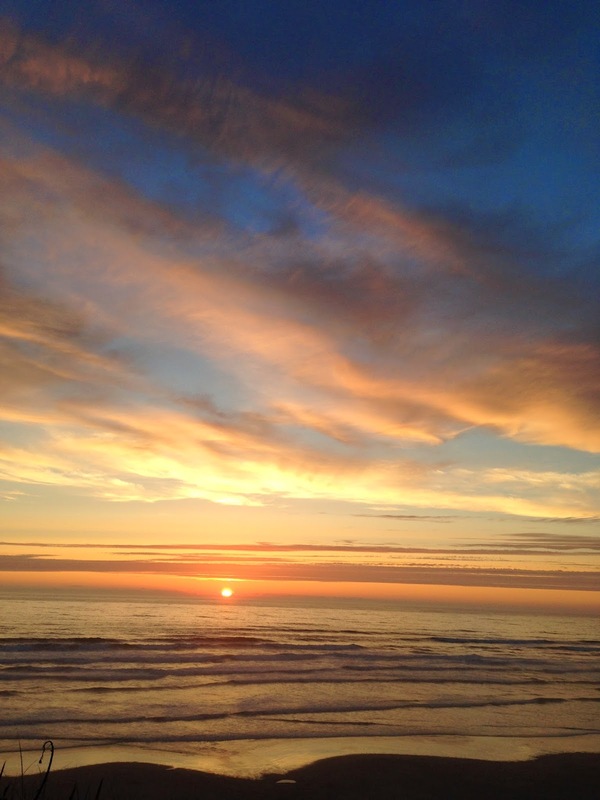 Neptune beach is a great spot, just South of Yachats, on the central coast. Maybe tomorrow I'll be fast enough to capture the sunset in paint! 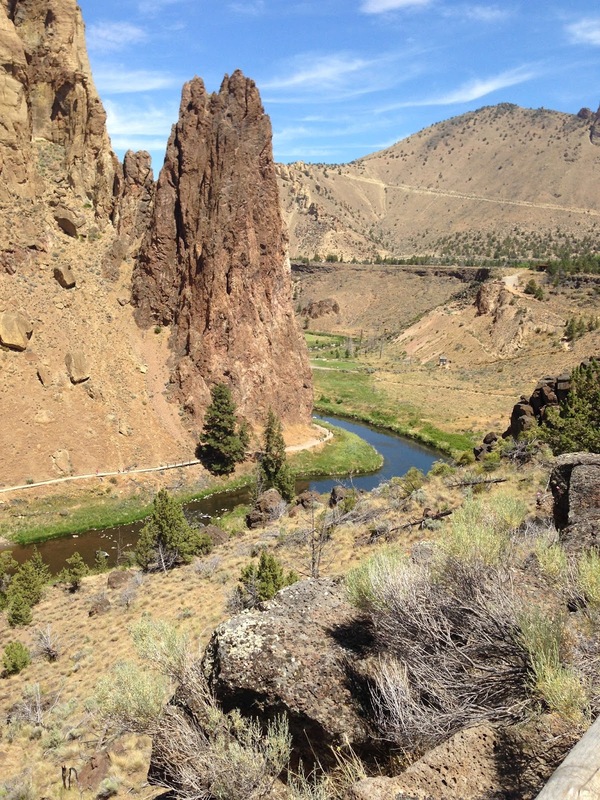 Our Fourth of July weekend was spent in one of my favorite places: Bend, Oregon. The whole town is almost too perfect! It's clean, beautiful, and full of fun things to do. 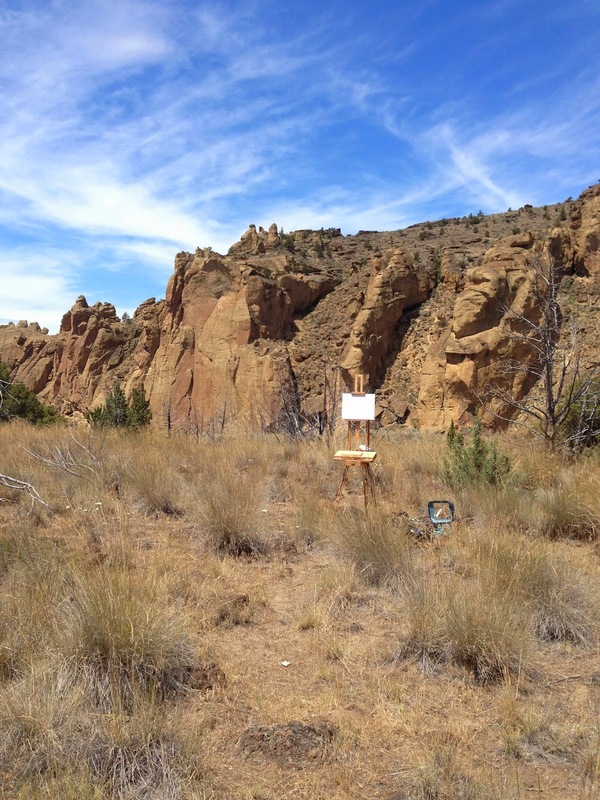 It's also a plein air paradise, picturesque at every turn. ....the granny hat was not cutting it.